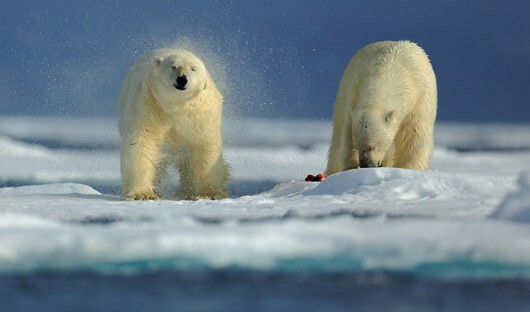 At the Arctic Travel Centre we often are asked the question “What is the best cruise to see Polar Bears?” The very good news is that on many High Arctic cruises you have an excellent opportunity to view Polar bears in the wild, often quite close to the ship or zodiac- occasionally on foot or from a kayak. Hopefully at least one, often ten or more and if you’re lucky you could see over 50 bears on one trip (near a whale carcass that has washed ashore). Whilst there is no guarantee you’ll see them there’s a very high chance on the below voyages. 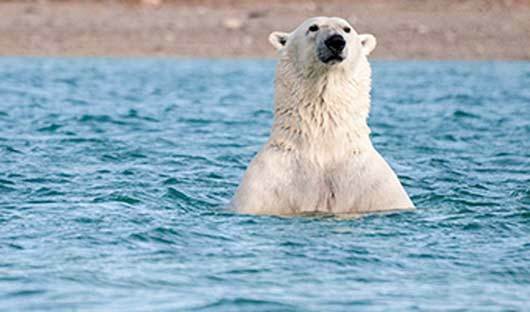 Voyages with a lower chance of seeing Polar bears are ones that travel around the South of Greenland and perhaps even the Northwest Passage trips that operate late in the season; often when a lot of the sea-ice has gone. 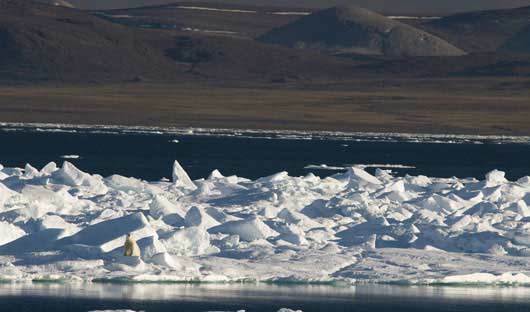 Bears like/need sea-ice – as that’s where they find seals hauled out to rest/sleep. 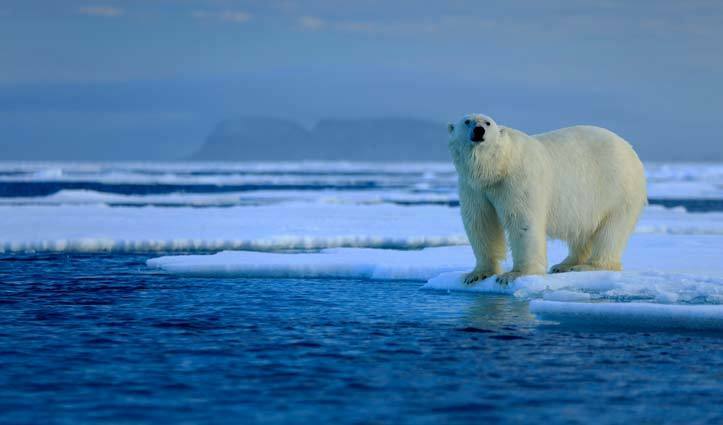 As the sea-ice declines that’s when bears move or change what they feed on. The short answer is no. Your expert naturalist guides and expedition staff have many years of experience and training. They want to make sure that both you, and any bears you may see, are safe and that encounter is one that leaves the bear unmolested. In the Arctic we follow the ‘no disturbance principle’. 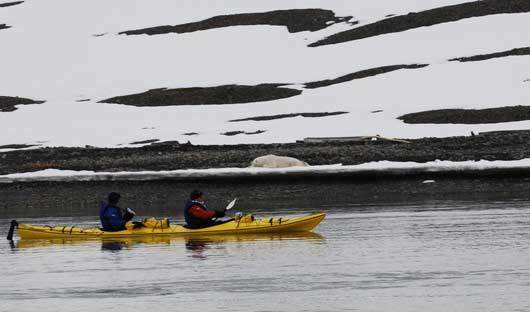 Any landing site is well scoped out before you go ashore – if bears are seen too close to where it is planned to land – you won’t go ashore – bears have priority. As a very last resort (and the plan is to never get into a situation where use of devices is necessary) all guides have bear deterrent devices (flares etc) and a smaller number of highly trained guides carry firearms. It appears that all the training works as the vast majority of voyages have safe bear encounters where no devices are required. 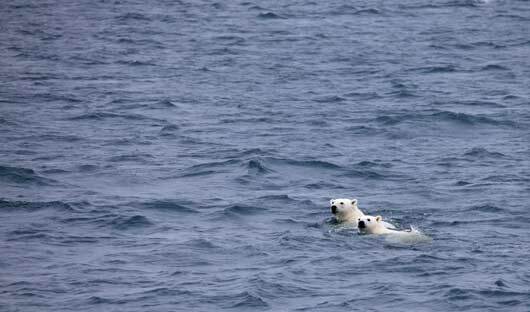 If you choose another Arctic cruise you will stall have the chance of seeing bears, the above voyages simply maximise the chances. Subscribe to our email newsletter ‘Tailor-made Journeys’ to hear about our latest news, new experiences and all things Arctic, Antarctica and Latin America.